It’s a proven fact that dessert is my favorite meal of the day (just behind breakfast). Sometimes I even have it twice! Tonight’s dessert combines two of my favorite things: fruit & a QuestBar. 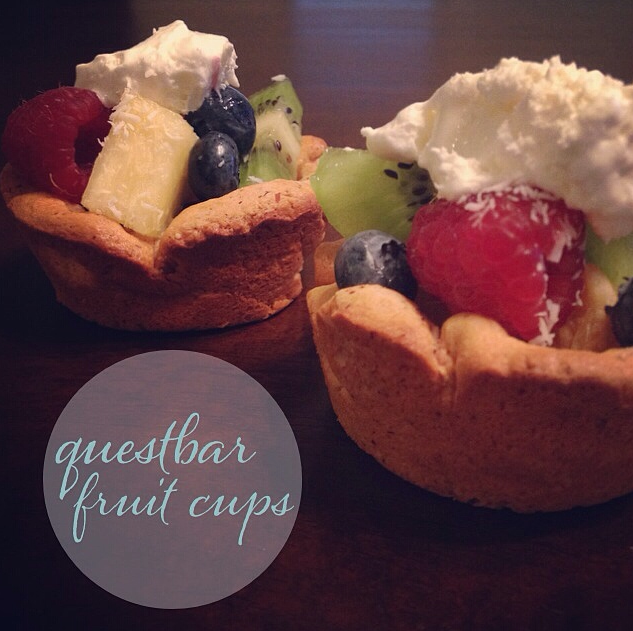 Behold the “QuestBar Fruit Cups”! Light, refreshing, and delicious. -Flatten out pieces using a rolling pin or your trusty hands and place them into the muffin pan so that it lines the bottom and up the sides. -Bake for 5-7 minutes or until nicely browned. -Let cool slightly before removing the cups from the muffin pan. 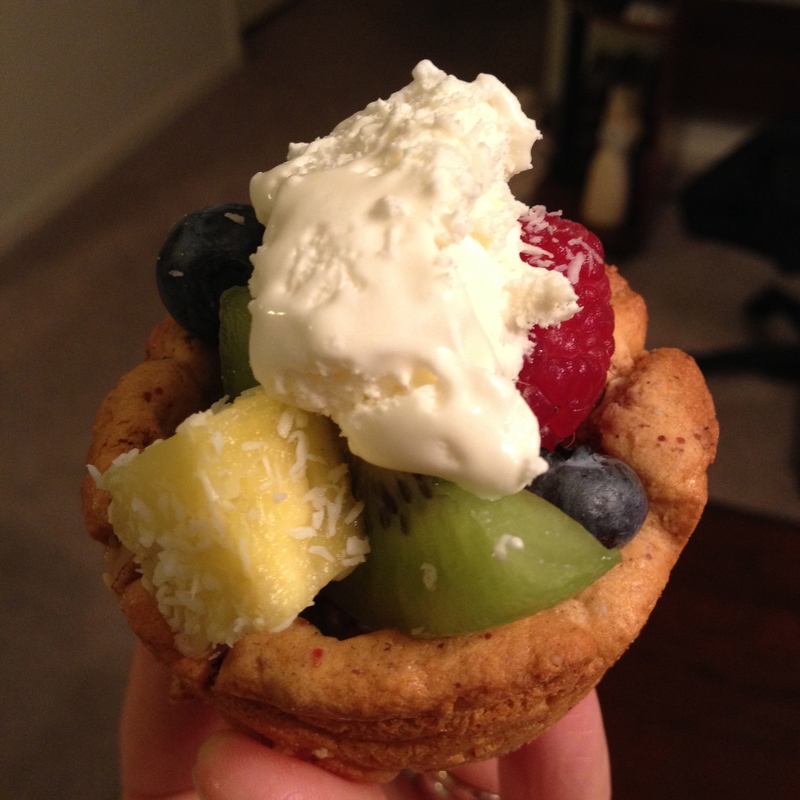 -add fruit salad and top each fruit cup with 1T fat free cool whip.